This popular Chardonnay comes from the Edna Valley in San Luis Obispo County. The wine is characterized by an attractive bouquet of quince, pear, ripe apple, apricot and light pineapple, with undertones of brown spice notes of cinnamon and clove. A fresh mouthfeel with hints of vanilla and a bright acidity combine to form a long, pleasing finish in this medium-bodied wine. The SLH stands for Santa Lucia Highlands and the Hahn Family is a pioneer in this exclusive growing area of Monterey County. This wine was harvested by hand from the Hahn Family’s Lone Oak vineyard, which is known for its cool, foggy growing conditions that allow the grapes to ripen slowly and develop layers of flavor in the finished wine. Whole cluster pressed, barrel fermented in French oak, and aged on its lees for eight months, the result is aromas of baked apple and lemongrass, underscored by tropical fruit notes of pineapple and lychee. A broad, silky mouthfeel carries through the finish of butter toffee and vanilla. 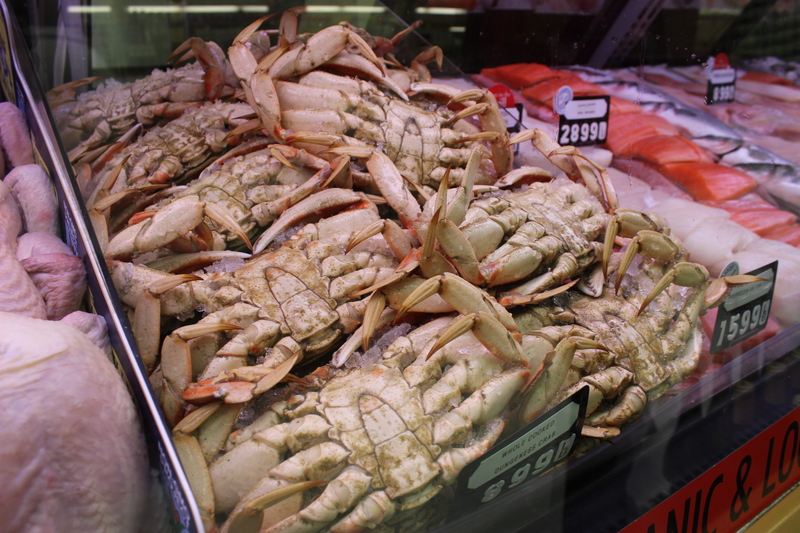 This is what we call our “Perfect Pairing” for your fresh Dungeness crab.